Extended T-Shirt Grey Longline. From its creative draping to rich dyes, this extended T-shirt is anything but your average tee. 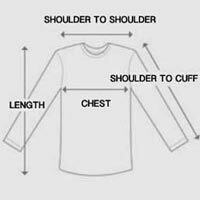 Basic crew neck tee designed with an additional long layer that drapes from the shoulder and around the back. Outer draped layer is left open on one side to create an asymmetric look. Grey extended T-shirt is made from comfortable cotton blend with all-over stretch. Bottom of draped layer includes a pull-tie that can be tightened for a ruched effect. T-shirt underneath is regular fit, but long draped layer on top creates a looser look. Distressed fabric is hand-dyed creating a subtle stained effect on some areas. Try on a stunning extended t-shirt that transforms the plain tee into a work of art. Available in light grey and charcoal.